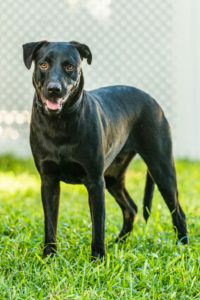 Trained dog available for adoption! Benji is such an awesome, calm boy. He’s been overlooked for months and months even though he’s a gem! What’s better than adopting a fully trained dog? Benji is a graduate of our two week doggie bootcamp for obedience and manners. Please share Benji with all those black dog lovers out there. There must be someone who wants to give this sweet boy a home! ?